At Five Sisters Ranch we provide an intimate, sober setting for individuals to take an in-depth look at core relationship challenges with self and others. We are committed to the concept that each resident is unique and requires specialized individual levels of care. 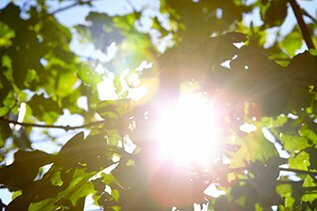 When residents walk through our doors, we meet them exactly where they are, embrace the totality of their being and offer them the opportunity to grow in a safe and beautiful environment. Our commitment to having a small number of residents was a conscious choice to enable our staff to design a specific program for each individual. Our intention is to help residents create a new reference of self. When one is in healthy alignment with who they are from a spiritual, psychological, social and physical aspect, peace and serenity emerge from within. Five Sisters Ranch offers Intensive Programs for men and women. Our Programs provide cognitive and experiential tools for women and men to explore and heal relational patterns resulting in healing their attachment styles. Our women’s and men’s programs do not overlap therefore we always remain gender specific. We focus on increasing self-esteem, identifying and up-holding healthy boundaries, and recovering from shame. The educational part of our programs demystifies the labels and helps restore each resident back to their authentic self. We also help our residents understand the biology behind the behavior. Each group has a maximum of 6 individuals who complete the program together therefore creating an intimate environment. Our clients include individuals struggling in relationships from attachment wounds, trauma, fidelity in committed relationships, codependency, maintaining sobriety from drugs and alcohol due to relationship challenges and other relational challenges. If you or someone you know is having a hard time with discerning course of direction to take regarding a relationship, Five Sisters Ranch can help guide you to your next steps. Your friend or client can expect to receive the following while residing at Five Sisters Ranch: Educational modules, one-on-one therapy, group process, expressive arts, equine therapy, sound healing, yoga, meditation, heart healing, music therapy, whole healthy foods, respect, and individualized care. Each of our Intensive Programs consists of relational curriculum that was created to address each resident individually. We intertwine various modalities of therapies depending on the needs of each individual client. We also use a number of experiential therapies (see below); equine, art, sound healing, music, and yoga and meditation. 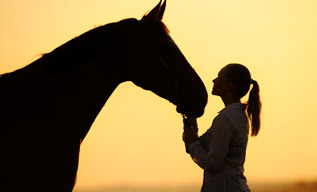 Five Sisters Ranch offers various forms of therapy. In all of our programs we have one-on-one sessions several times per week – even in our one week intensives. Everyday there is also a form of group process. We use various therapeutic modalities depending on our residents’ needs. Our therapists and relationship coaches specialize in family systems, codependency, love addiction, love avoidance, work related challenges, various forms of process addictions, intimacy, trauma and conflict resolutions. 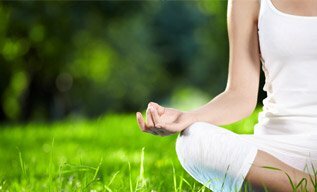 Here at Five Sisters Ranch we are committed to the health and healing of mind, body and spirit. One of the ways that we help women stabilize and sustain their recovery is through Sound Healing. Sound Healing is the intentional use of sound, voice and/or music to facilitate change and transformation. 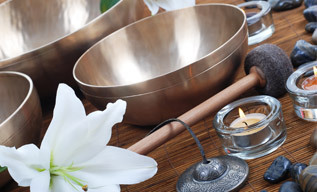 There are many different modalities that fall under the umbrella of Sound Healing. These include the use of tuning forks, singing bowls, vocal meditation, chanting, singing and drumming. It can also include songwriting as a way to express suppressed emotions or creating playlists of music that are specifically designed to help access emotions, bring one into a more peaceful state or motivate and energize. Though we may not be consciously aware of it, sound is impacting us all the time, in every moment. Everything in our world, including ourselves, is made up of frequencies and vibration. Some of these are audible to us and some are not, but nevertheless they are still affecting us. And because we are vibrational beings we are physically, emotionally and mentally susceptible to vibrations and sound. Research has shown that through entrainment and resonance our nervous system will respond to certain frequencies, rhythms, melodies and harmonies with stimulating or calming results, depending on the nature of the sound or music being produced. As an example, women who have been suffering from addictive behaviors often come into treatment feeling very stressed, exhausted and unable to relax. A Sound Healing session with tuning forks can offer a woman an opportunity to encourage her nervous system to relax. As a result a new set point, as it were, begins to establish itself in her psychophysical system, which in turn allows her body and mind to remember what a de-stressed state feels like. As this new state establishes itself in the body and in awareness, a woman is able to access new inner resources that are paramount to stable recovery. Sound Healing has been used traditionally in many cultures around the world and is a growing ﬁeld of study and research. It is being implemented in many medical institutions around the world as an accepted and respected healing modality. We practice an integrative form of yoga at Five Sisters Ranch combining the classic understanding with the learning edge of yoga to support our residents. Each day is appreciated as a new day of new choices. Classes are designed with the particular residents in mind and often shift to address what is present in the moment in terms of physical, mental, and emotional ups and downs. Practicing yoga is fundamentally about reducing suffering, cultivating an expansive quiet mind and gently opening to the joys of self in relationship with all of life. Each woman is encouraged to discern and accept their qualities and limitations without judgements, deepening self compassion and genuine self exploration. Classes often include restoration aspects because so many women arrive exhibiting chronic exhaustion and cultural over stimulation. Yoga is a practice of befriending oneself, a core healing dynamic for love addicts, love avoidance, and codependency. When searching for an Equine Program, we were so fortunate to find Alyssa Aubrey, founder of Medicine Horse Ranch. Medicine Horse Ranch is located on a fifth generation 1000-acre working cattle and sheep ranch in beautiful coastal Tomales, CA just 20 minutes from Five Sisters Ranch. Being on land and in nature offers quiet reflection that nourishes and rejuvenates the heart and spirit. Activities with horses provide metaphors and mirrors for real life experiences in a safe, non-judgmental environment. Partnering with a horse is fertile ground for developing new practices that re-build trust, deepen authenticity, leverage strength based skills and encourage self-care. At Medicine Horse Ranch, the individualized attention and care we offer to our residents is honored. 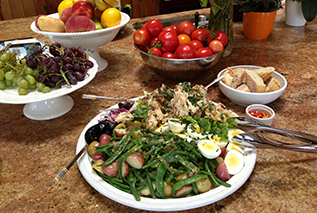 At Five Sisters Ranch, we recognize the importance of healthy nutrition. Our meals are prepared from locally grown produce as well as fruits and vegetables from our own organic garden. Much current research has shown direct correlation between diet, addiction and recovery. Organic foods are an integral cornerstone of balance and recovery. These foods support our emotional and biological health. The direct correlation between diet and mood can be easily witnessed through observing mood changes after eating certain foods. We foster each woman’s individual wisdom as it relates to food and mood. By providing the highest quality foods we ensure the foundation for this process. Our residents learn about, experience, and apply this “food as medicine” practice to their deeper recovery process and daily life. During each woman’s stay with us, new healthy relationships to food are cultivated and stabilized. We have been awarded LEED Platinum certification, the highest green rating a building can receive.